The number of casino resorts to be allowed in Japan post-liberalisation is still to be decided, despite media speculation that the issue might be settled during a meeting held recently between politicians and officials. A task force of Japan’s largest governing party considering how to steer the Integrated Resorts (IR) Implementation Bill for casinos through the country’s parliament met on Wednesday but reached no fresh conclusions on the topic. Representatives from the national government attending the talks reiterated what had been mentioned when the issue was discussed in the country’s parliament in December 2016 – i.e., two to three resorts initially with up to a further 10 later. But government representatives did indicate some willingness for flexibility via a possible “review process” to assess market demand at some – as yet undefined – later stage. Representatives of the majority governing party – the Liberal Democratic Party of Japan (LDP) – offered some alternative ideas at Wednesday’s meeting, but could not reach consensus, according to information garnered by GGRAsia’s correspondent. The midweek gathering – the third consultation session called by the LDP’s Integrated Resort Project Team – was also attended by representatives from the Office of Integrated Resort Regime Promotion, a body made up of professional civil servants. According to Japan’s first and already-passed piece of legislation for the establishment of a legal casino industry – the IR Promotion Bill – a maximum number of casino resorts should be stated in the IR Implementation Bill. From the LDP’s side at Wednesday’s meeting, one strand of opinion was for “at least” four to five gaming resorts in the first phase. A majority of the LDP representatives at the meeting said the implementation bill should focus on the core objective – promotion of inbound tourism to Japan and economic revitalisation. 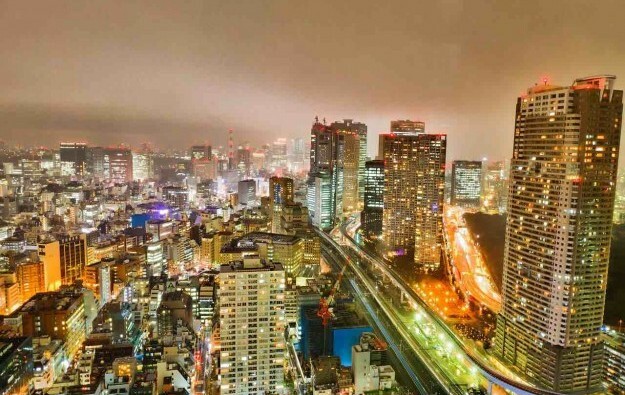 On that basis, there should be some flexibility regarding total numbers, and resorts should be in regional markets, as well as in metropolitan areas such as Tokyo (pictured), the LDP representatives indicated. On Friday it was reported that Yoshihisa Inoue, chief secretary of Komeito, said at a press conference that the number of integrated resorts to be allowed in the first phase should be the maximum “two to three” mentioned during parliamentary discussion of the IR Promotion Bill in December 2016. It is likely there will be further talks in an attempt to find a consensus position between Komeito and the LDP on the tally of resorts during the first phase of liberalisation, according to Japanese media. Last week the Japanese government had proposed a JPY2,000 (US$19) casino entry levy for 24-hour access to gaming venues, to be payable by the country’s nationals and residents. The parliamentary caucus of the LDP raised no objections to that. It was subsequently reported in some media outlets that some members of Komeito – the smaller of the two parties in the governing coalition – had called for a bigger levy. According to information gathered by GGRAsia’s correspondent, there were differing opinions within Komeito, but that were a higher fee to be proposed, it would only happen following discussions between Komeito and the LDP, and that neither the larger governing party nor the government itself had expressed interest in a higher levy.